Showman ® Medium leather wither strap with royal blue beaded inlay. 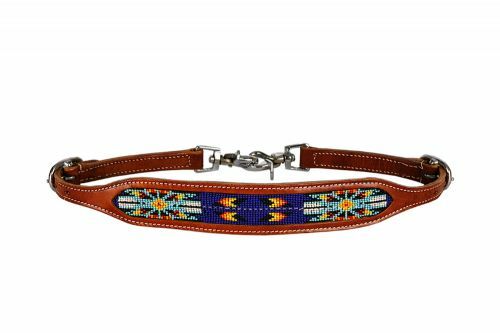 This wither strap features a multi colored beaded inlay design on medium oil leather. Easily attach to breast collar with double scissor snap ends. Adjusts 23" - 29".